At the beginning of the year I travelled to new destinations, like Cuba or Kenya, waiting for the season to start. Between the trips everyday life in Poland seems to be like a winter dream: nature doesn’t have too much colours, days are short and you can easily get bored from warming up in front of the fireplace. But this time is over. In the middle of April I started preparations to open my kiting school KITE CREW in Hel Peninsula, Chałupy 6. There’s no better joy than spend first spring-like sunny days outside, on the beach, putting wind flags and hammocks out, watching school opening process and kite in between in still cold water of Baltic Sea. 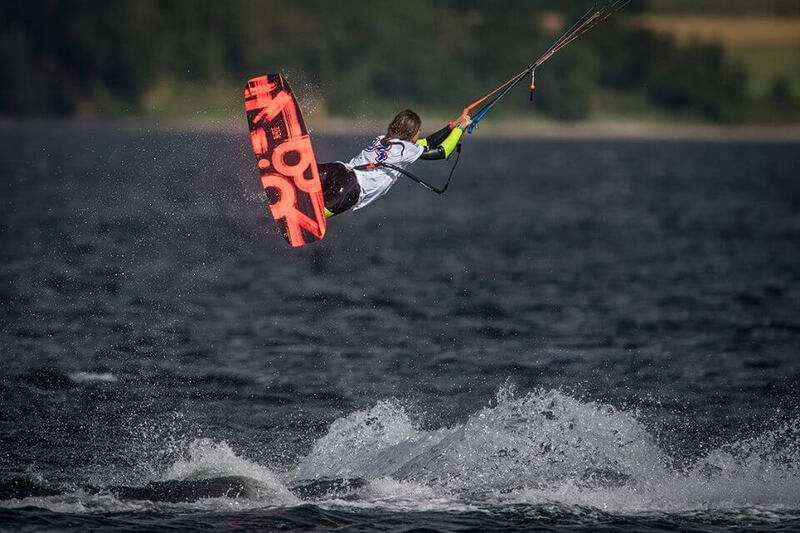 It’s not obvious for everyone, but the peninsula cuts out a shallow bay called Gdansk Bay and a smaller part at the top of it – the Bay of Puck, creating a natural, shallow and flat water spot which is perfect for kiteboarding. Have you heard of Isla Blanca or…? It’s pretty much the same looking like. I’ve been visited by world champs like Christopher Tack or obviously Karolina Winkowska, but also international riders like Erick Rienstra, Alexander Lewis-Hughes, Sara Shawky, Marek „Murphy” Zach, or Ian Sleuyter. The spring season is calm time with very good wind conditions and many riding sessions to catch – all in the atmosphere of camping, spending time outdoor and relaxing. This easy-going time turns into a volcano of people flooding the peninsula at the end of June: tourists, water sports addicts, kiteboarders, surfers, windsurfers, students and celebrities.